Ideally located immediately adjacent to the Las Vegas Convention Center and a short walk from the world-famous Las Vegas Strip, the legendary Westgate Las Vegas Resort & Casino (formerly the Las Vegas Hilton) offers only the finest amenities and offerings! The world-class Las Vegas hotel casino features a unique blend of excitement with incredible restaurants and nightlife, endless Las Vegas entertainment and a lively casino that is home to the world’s largest Race & Sports Book. 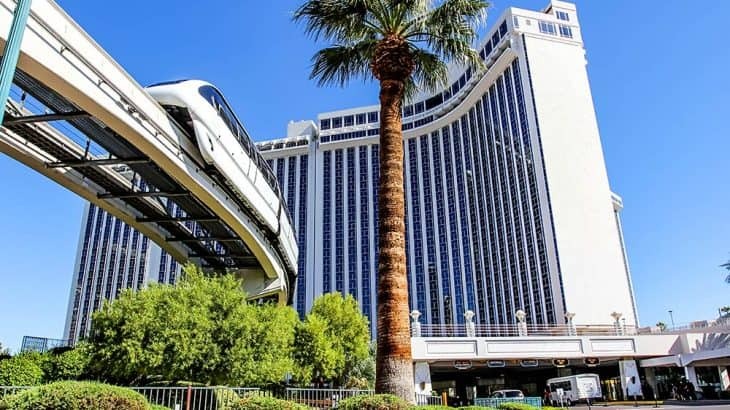 Among off Strip hotels, Westgate Las Vegas Resort & Casino boasts the most alluring variety of spacious hotel rooms and suites in a relaxing atmosphere, while still maintaining easy access via the Las Vegas Monorail to the excitement of the Las Vegas Strip. The $69 chess rate ($95 Friday and Saturday) guarantees you a Premium room with new furniture, refrigerator, flat screen TV, and more. Upgraded rooms are available for an additional charge. The optional resort package, including access to the Fitness Center, free WI-FI, and more, is substantially discounted for our group. RESERVE ONLINE or by phone at (800) 732-7117 (option 2). Be sure to mention the Chess Group (code SVCF9-R) to get the lowest rates, and be sure to reserve by May 23. The rates at the Westgate will be significantly higher after that date and there may not be any rooms available at all. WIN A FREE HOTEL STAY DURING THE CHESS FESTIVAL! Reserve your room early for more chances to win!